New. 2018. 5th ed. 2018. Paperback......We ship daily from our Bookshop. timely shipping. reasonable shipping charges and book was/is in great condition. Was a Fast shipping, the book is a little bit mistreated but is functional. Short review for a BIG book. 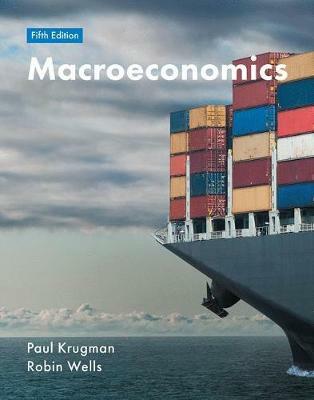 This book is very helpful for the layman in attempting to understand Economics. Homey examples from everyday life make concepts clear. Since I read Krugman everyday or so in the NY Times, his style is familiar to me and his sense of humor and often light touch makes his work in what is essentially a "dismal science" very palatable. Three cheers. I recieved the book even faster than expected it was in ok shape just a few turned corners. I would definately order from them again.